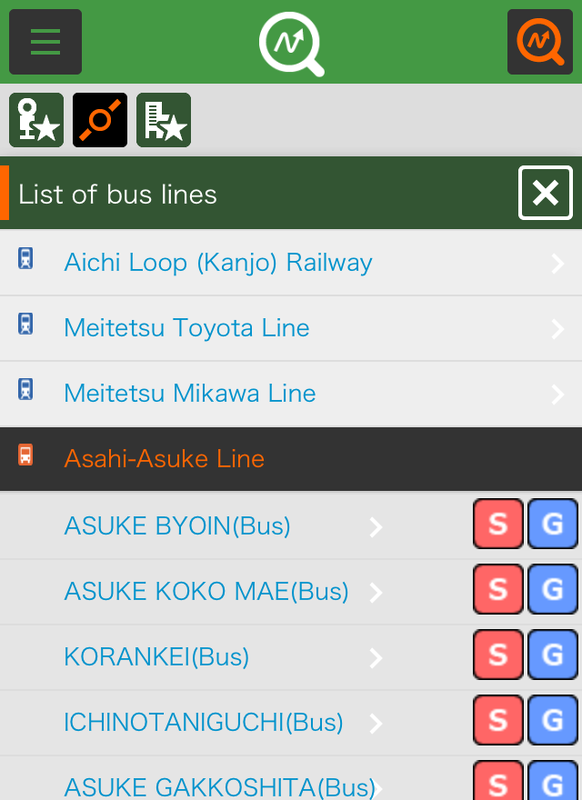 Tap the Route Planner & Fare Information at the upper right side. Enter the starting point, destination, departure time and route options and tapSearch. 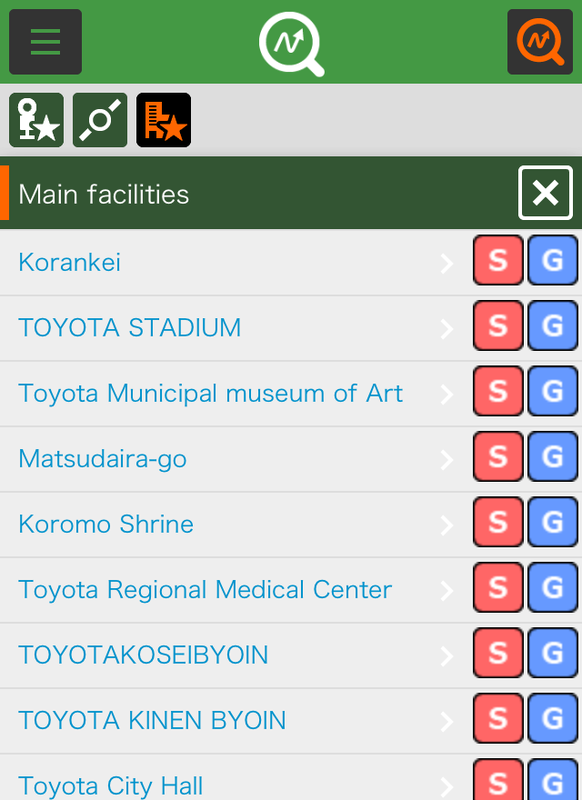 Select the starting point and destination from the list and tap 「Search」. Tap Edit to return to setup. Summary of the suggested route. 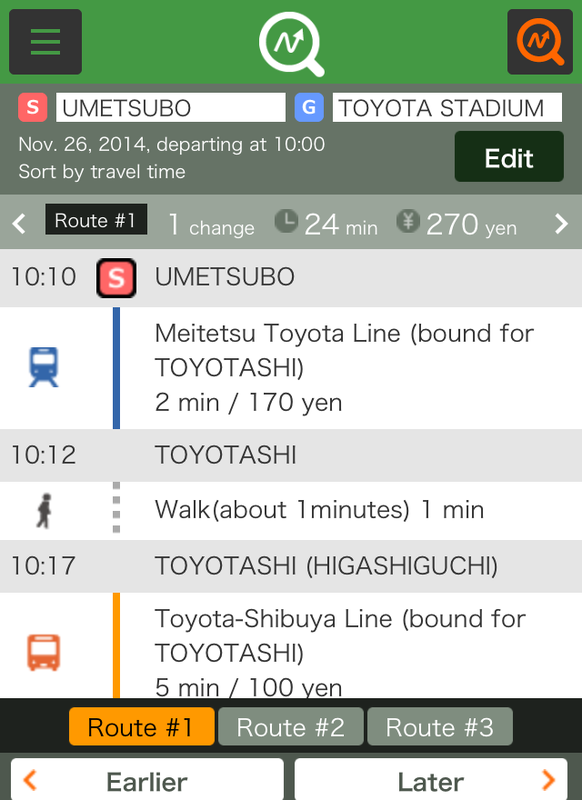 If other routes are available, tap ＜＞ or Route 1, 2 or 3 at lower part of screen. Check earlier or later departures: Search earlier or later departures on the same conditions. 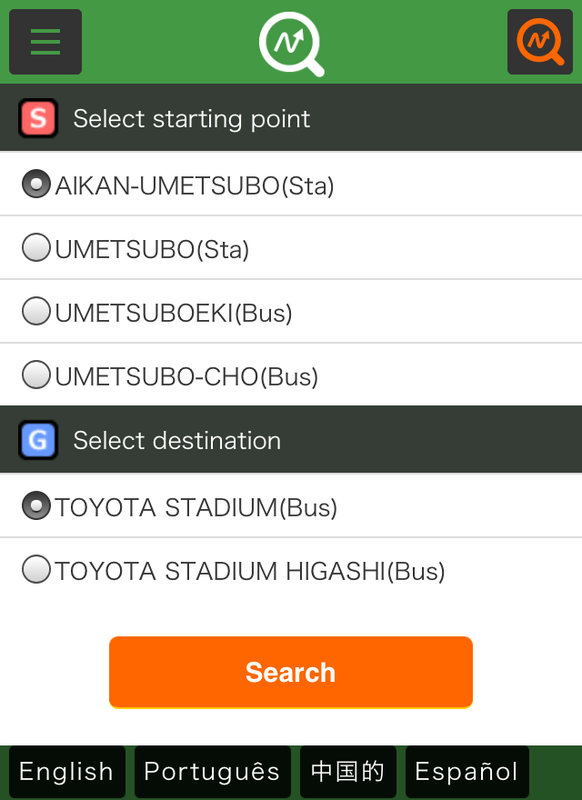 Search by main bus stops and train stations. Tap main bus stops and train stations and select the starting point and destination from the list of main bus stops and train stations. 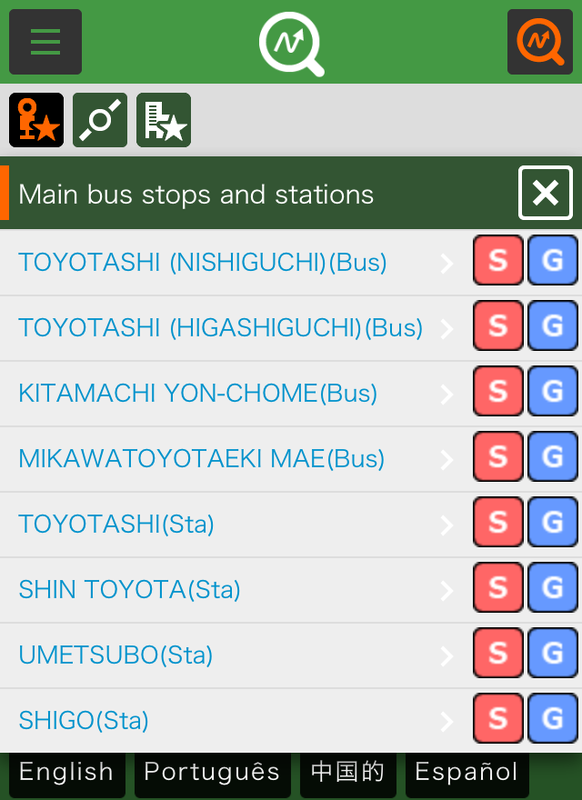 Tap bus or train route and select a bus or train route. 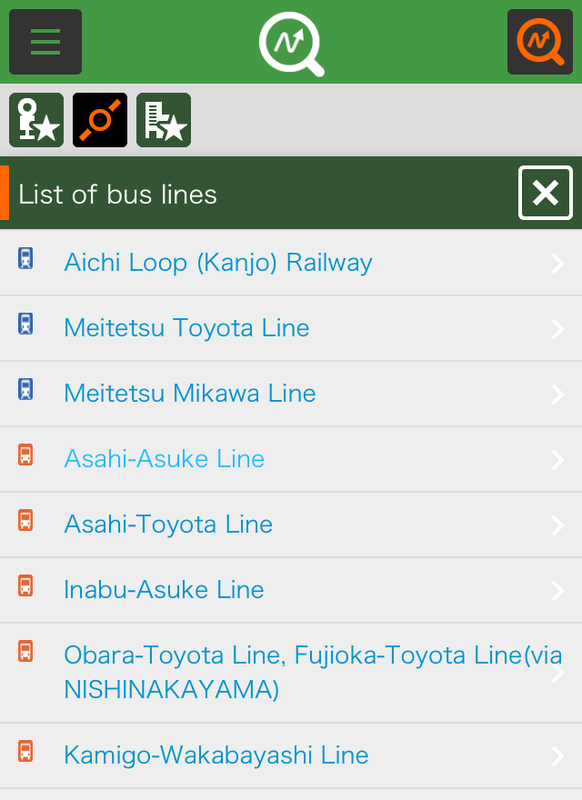 Tap the route name to check its bus stops or train stations. 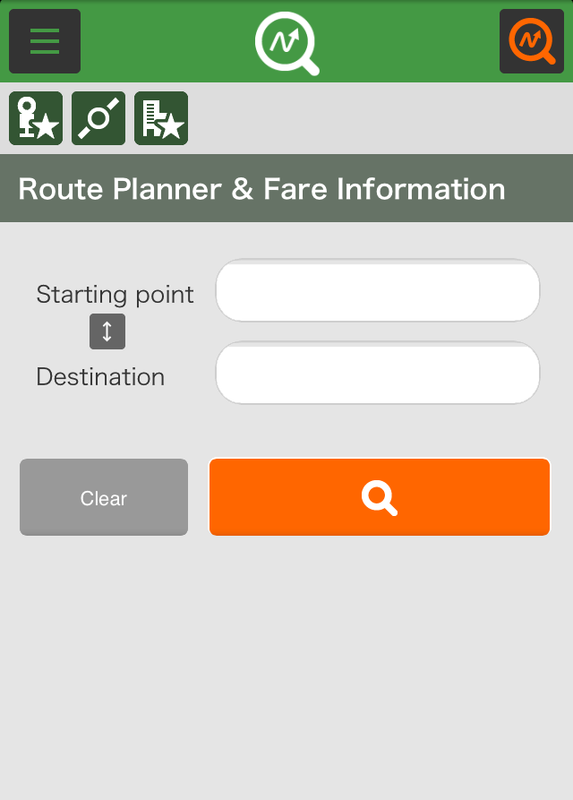 Select the starting point and destination at Route Planner & Fare Information. Tap Major tourist attractions and select the starting point and destination from the list of major tourist atractions.